Good news, the bonny River Wear is attracting many splendid bird species once again. A regular visitor to the River Wear as it meanders around the City a Grey Heron is picking off fish quite happily. Cormorants have been spotted too, voracious feeders these birds can swallow seemingly impossible sized fish in one gulp. The River from Wearhead to Pallion, once heart of the North East shipbuilding industry, has had a chequered past, in common with many ‘industrial’ rivers throughout the country. For years the River was in dire straits due to industrial and urban pollution causing fresh water fish to move up river. From Durham through the County to the sea at Sunderland it was a rarity to see many of our indigenous species. The presence of Herons means that those dark days have gone, the River is more healthy again, fresh water fish are present well down its length into Sunderland, hence the predators hunting for them. Herons would not return were there an absence of food. Bird life is a great indicator of a healthy natural world; they are part of the food chain – Herons are toward the top as they have few natural predators. All of which means that the Rivers are safer for humans too, impacting on anglers taking fish from the rivers and children paddling. If trees are the lungs of our world, rivers must be the blood supply and fresh blood is always beneficial. Long may the improvements continue. 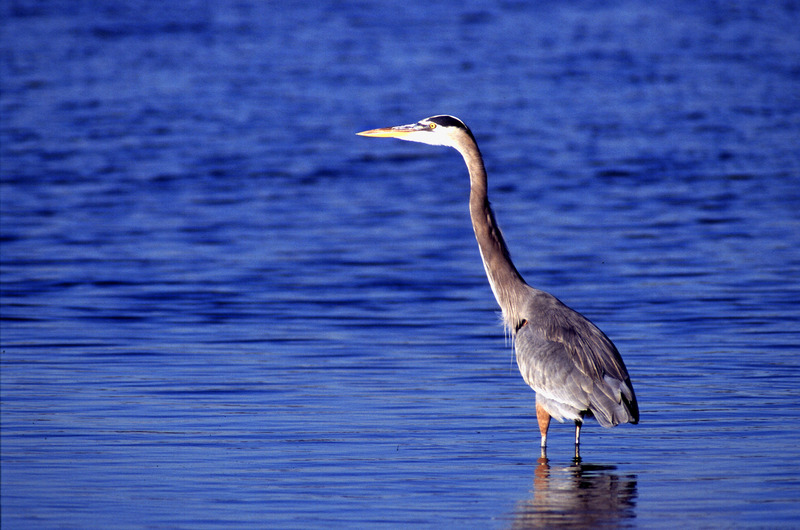 However, Herons are also fond of frogs, small mammals and goldfish. Home pond owners, proud of their Koi Carp, or common goldfish beware! Herons do love a Koi Carp or two for lunch, and if you have tadpoles in the pond, once they develop into small frogs those will be on the menu too. Some nature friendly preventative measures are recommended, but only ones that will not harm the Herons please, they are protected birds.